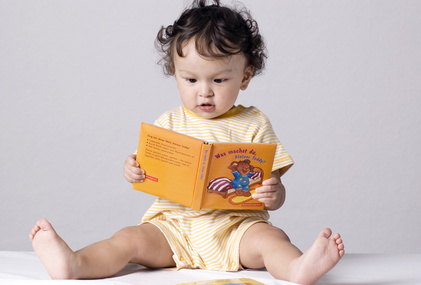 Early reading and advanced vocabulary are characteristics of gifted children. Da Vinci Center curricula and day to day experience consists of the integration of three domains:Research and Exploration, Self-Expression and Social-Emotional Development. The focus of the research and exploration domain is to ensure that gifted children engage in highly interesting and hands-on real research of the world, and that they reach the highest levels of Bloom’s Taxonomy. As early as 1956 a group of educational psychologists, including Dr. Benjamin Bloom, created a hierarchy of six cognitive domains. The hierarchy begins with the simplest thought process, "Knowledge", and ends with the most complex, "Evaluation". Since then this taxonomy has inspired educators to try to design curricula and to change classroom practice to parallel the six domains and to elevate the level of student thinking. My personal observation within hundreds of classrooms over twenty years as an educator and administrator has been that teachers tend to end thinking, learning and processing at the third domain: "Application". It is rare to see the effective use of the last three domains, and teachers, even if they wish to encourage students to further thought and particularly synthesis of multiple subjects, often cite limited time as the barrier. Such time pressure has increased with the current focus on state standards and accompanying extensive testing. One of the joys of having the freedom to design our own curricula and to highly individualize projects and content to adjust to student need and interest is one of the most rewarding facets of a gifted school. We can take time to design and implement projects and lessons to ensure the basic foundational skills for success are in place, and to encourage students to reach the highest levels of cognition. At Da Vinci we do not see school and learning as a paradigm of "subjects" that are compartmentalized, where one learns math for an hour, then English, then Science. Rather, all subjects in our world are experienced as integrated, as are adult jobs in the "real world". I do not know anyone who goes to English at work for an hour, then math, then social studies etc. We may calculate our monthly pay, have a political conversation at the water cooler, and then write a professional email within minutes. Student recalls or recognizes information, ideas and principles in the approximate form in which they were learned. The student will define the six levels of Bloom’s taxonomy of the cognitive domain. Student translates, comprehends, or interprets information based on prior learning. The student will explain the purpose of Bloom’s taxonomy. Student selects, transfers, and uses data and principles to complete a problem or task with a minimum of direction. The student will write a question for each level of Bloom’s taxonomy on Cornell notes taken today in class. Student distinguishes, classifies, and relates the assumptions, hypotheses, evidence, or structure of a statement or question. The student will compare and contrast Bloom’s taxonomy and Costa’s levels of questioning. Student originates, integrates, and combines ideas into a produce, plan or proposal that is new to him or her. The student will create and share a plan for using higher levels of questioning in studying Cornell notes. Student appraises, assesses, or critiques on a basis of specific standards and criteria. The student will judge the quality of the questions in a peer’s Cornell notes using criteria from Bloom’s taxonomy. Adapted for AVID from Huitt (2004). Bloom et al’s taxonomy of the cognitive domain. Educational Psychology Interactive. Valdosta, GA: Valdosta State University. Students are required to complete four research projects each school year (2 per semester) and they are to choose from overarching Math/Science, Reading/Writing, Social Science areas that represent core content. The choice of study, research questions and process are driven from student interest and curiosity, and the goal is to eventually have the entire process student generated. The research projects are designed for students to reach the highest levels of cognition using Bloom’s Taxonomy. Students will receive a great deal of scaffolding early on so the process of selection is not overwhelming, and then slowly become independent researchers whereby their research/questioning/follow through path becomes cyclical. Pre-research represents investigative exploration. Pre-research is facilitated by teachers whom introduce new concepts and ideas and help students find specific areas of interest within particular fields. Pre-research represents investigative exploration to find areas of interest within particular fields. 1) What am I curious about and what do I want to learn, know or experience? 3) How will I edit/publish/present/share? 4) How does what I have learned relate to what I already know or what I have already experienced? 5) A) What did I like the most and why? B) What specifically did I learn or experience that I would recommend to other students and why? 6) What follow up questions do I have? While the levels of cognition from Bloom’s model are sophisticated and very advanced, younger gifted students are able to engage in the entire process and to complete the research projects with great success. Scaffolding is provided from the instructors to support students in the skills that they need to successfully complete their projects. Since the model is designed to use through doctoral studies, there is no age limit for the process nor categorization of grade level. The follow through/extension process encourages students to continue to explore and discover areas that may have arisen during their research even if they were seemingly "unrelated" to the exact topic of study. The objective is to show students that there are not compartmentalized "subjects" to study that have an end point (as in a traditional classroom where once the "Botany unit" and test is finished, a student may never revisit Botany during the rest of their school experience). The philosophy at Da Vinci Center is that learning and inquiry is an ongoing, evolving and changing cycle that does not have an "end". The component of the research project that entails publishing/presenting/sharing encourages the student to share research as well as to celebrate their findings and accomplishments as well as to build a community of learners and questioners. Again, students are not encouraged to present a project as "complete" but rather as a step in a cyclical process of inquiry and discovery. They are encouraged to share the questions they still have and their ideas for further investigation. Parents are highly encouraged to be present for the sharing/presentation components of the research project. Other students may garner research ideas and questions from the work of their peers and the process itself overlaps with our social-emotional curricula of sharing and interacting with others in socially empowering ways. Since students spend a great deal of time researching and exploring their topics they are usually quite skilled in the topic and this tends to build confidence in their ability to present, answer questions as well as tends to an enthusiasm and interest since the topic is self-selected. In addition, students will form research groups and partnerships where they will share their progress and help hold each other accountable to their timelines, practice for the presentation or creative component etc. In addition to the more traditional sources such as text, databases, Internet resources etc. One may easily see the interconnectedness of the Self-Expression Domain in the research presentation/sharing. Teachers are there to scaffold the research process for students and to ensure students have the basic competencies they need to successfully complete the research project. This could range from helping a student with grammar in their written work, to helping design a realistic timeline for completion, to making suggestions for resources and exploration, to booking and taking students on field outings, to ensuring students maintain a healthy balance throughout the process - checking for self care and that students are not becoming overwhelmed, intimidated or overtaken by perfectionism. "truths" as part of our experiences and perceptions of the world and are unique to individuals. As good critical thinkers, students will learn to question their own assumptions. "One tool that teachers at Da Vinci use to ensure students are receiving effective amounts of support and challenge is the quadrant developed by Larry Daloz. Students check in with us regularly and they may have their own charts or other individualized means of reporting their feelings, challenges and successes. 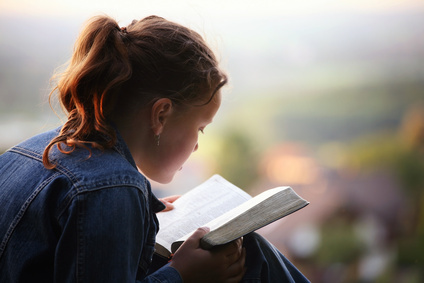 While Daloz’ research is conducted and designed for adult learners, I have found it to be very effective for profoundly and exceptionally gifted children. Below are the Daloz quadrants – see if they ring true for you in your workplace or any other areas of your life. If you were homeschooling, do you think this would be a helpful tool in determining whether lessons and activities for your child are successful? Could you envision children using the tool themselves to determine where they need more support or challenge? Why are research projects only one semester long? My experience with gifted children has taught me that this population is deeply passionate and interested in something. They have collections and become experts on the most obscure topics that may even obsess them until they have had enough. For some children they may burn through an obsession with mountain lions in a matter of months – having researched mountain lion habitat, forced you to drive 100 miles so they could see one in real life, figured out how the taxidermy works on the rest of the lions in the museum, and created a full scale model in your living room, their curiosity is satiated and they happily move on to identifying and labeling all of the wild mushrooms in the state of California. Because some students "burn through" curriculum and content very quickly, they may lose interest after one semester and wish to move on to another field or area of study and thus begin a completely new project second semester. This is another reason traditional classroom with slower-paced, predetermined curricula can be problematic for gifted children. For those students who remain interested in the same area of study, they may continue to pursue that area and look into a different aspect for another research project. At some point we have to face the fact that this particular child will in fact open his own mountain lion reserve at the age of eighteen and the money he is soliciting based upon his twenty page description and personally drawn diagrams of the preservation natural habitat he has designed is actually going to happen; we may as well join in the fundraising efforts and start him on an undergraduate zoology degree at the age of twelve. The mountain lion example is an excellent way to show how and why the multiage environment is so powerful. 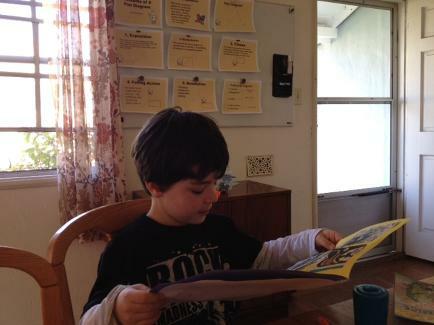 When gifted children find common ground, age disappears. A four year old and a fourteen year old whom both love mountain lions can take off on a five hour, non-stop conversation while showing each other photos and websites, sharing their observations, pulling out a claw, and so on. This connection across the ages is one of the most powerful and absolutely extraordinary components I have observed in running a gifted school. In a recent enrichment class series a ten year old (we shall call him Sam) whom has struggled endlessly at a traditional school and only recently discovered he was profoundly gifted, completely bonded with a four year old. They became "friends" and as is often the case, the older child was an absolute model of excellence during the entire class. Afterward at pick up time the teacher went on and on to Sam’s grandmother about how patient he was with the younger kids and how they had played so well together. This was possibly Sam’s first experience in leadership, and was suddenly viewed as the child in the room with so much to offer rather than the "problem" child. Sam’s grandmother, used to reports of his bad behavior, of him being placed in an isolated part of the classroom, freely cried at this new description and at Sam’s own reports of his successes and joy being in an educational environment where he was valued and that worked for him. Multiage does not mean that older children are ever forced to tutor, mentor or partner with younger kids. They may be grouped together for projects and play opportunities, but relationships often occur across ages based upon interests and excitement over particular topics. At Da Vinci we believe that self-expression is a vital means of interaction with the world and an outward manifestation of the development and revelation of self. It serves myriad purposes, such as therapeutic release, creativity, joy, movement, escape, discovery, to alleviate pain and more Self-expression may take as many different forms and we have children. We do not design curricula and hire enrichment teachers to fit a prescribed program already developed before children arrive; rather, we get to know our students well and listen to what is important to them then try to integrate the means through which self-expression is most rewarding. Our enrichment teachers are hired to fulfill student need and interest in self-expression and may fall within categories such as Art, Music, Dance, Film/Animation, Poetry, Languages etc. We have offered classes such as Music and Movement, Lego Engineering, Stop Motion Animation, Astrophysics, Japanese Language and Culture etc. There is also a connection between the presentation of the research projects and the choice of students to engage in a form of presentation expressing their ideas in a way that best suits them. We had an eight year old student for example, take a research project on a chemical reaction and write a play for the school. She wrote the script, assigned all of the parts that included the teachers, found costumes, set up rehearsals, designed the set etc. All of the students were involved and she put on the play for the end of year parent celebration. The idea of tying together science and drama came to her with ease. She learned a great deal about leadership and motivating peers, how to handle disappointment if someone did not like a costume or want to rehearse etc. Jan and Bob Davidson are very passionate in their book Genius Denied: How to Stop Wasting Our Brightest Young Minds, 2004. I admire their perspective that limiting opportunities for gifted children is detrimental not only to the gifted children and their families, but to society as a whole: "Stunting the growth of gifted children means quietly limiting the ability of society to make the great leaps in art and science that will benefit us all. ‘What is honored in a country will be cultivated there,’ Plato wrote, and the societies we remember in history tend to be the ones that nurtured genius form their ranks. Plato’s own classical Athens, Renaissance Florence, and Elizabethan England sparkle in history because works by such masters as Euripedes, Aristotle, Michelangelo, da Vinci, Shakespeare, Marlowe, and others have influenced and lasted far beyond their creators’ lives. These societies nurtured genius through master teachers, patrons, and artistic freedom. In return, these creative masters assured their societies’ contributions to the pursuit of truth" (p 20-21). The Andersons also point out, "America has the potential to stand out from history even more than Athens, Florence, and Elizabethan England because we don’t acknowledge the talents of only a narrow segment of society – white and male. We have an even bigger pool of talent, and our capabilities are greater because of that" (p. 21). "When parents fail to recognize a child’s gifts, teachers may overlook them as well. Rita Dickinson (1970) found that half of the children she tested with IQs of 132 or above were referred for behavior problems and not seen as gifted by their teachers or parents. Parent advocacy is critical for gifted children’s emotional and academic growth" (Linda Silverman, "What We Have Learned About Gifted Children, 1979-2009", Gifted Development Center website 2013). We provide an environment at Da Vinci Center where children are encouraged to pursue their passions and we provide resources, adult mentors and multiple learning opportunities for students to engage in these passions to explore and learn about them in healthy and balanced ways. We look for opportunities for students to conduct their research and exploration in the broader society as well as to find enriching means of self-expression and performance such as museums, attending live performances and a very important focus at Da Vinci, connecting with nature. Gifted children have better social adjustment in classes with children like themselves. The brighter the child, the lower his or her social self-concept is likely to be in the regular classroom. Social self-concept improves when children are placed with true peers in special classes. (Linda Silverman, "What We Have Learned About Gifted Children, 1979-2009", Gifted Development Center website 2013). The following is an excerpt from Richard Louv’s book Last Child in the Woods, Saving Our Children from Nature-Deficit Disorder, 2008, available in our Da Vinci parent library: Parents who wish to raise their children in a climate conducive to modern – or postmodern- creativity do well to expose them to that world, but not at the exclusion of the natural world (97). and other living kin, large and small. Without that experience, as Chawla says "we forget our place; we forget that larger fabric on which our lives depend" (98). At Da Vinci Center we strive to take children to outdoor, natural areas every day in addition to providing field trips connected to our curricula such as nature hikes during Botany exploration looking for particular flora or fauna, searching for sand crabs for science discovery etc. We also introduce various animals, visit Lindsey Wildlife and other museums. Again, we find hands-on, experiential learning one of the best possible experiences for gifted children. "Nonviolent Communication, or NVC, is a powerful model of communication, but it goes far beyond that. It is a way of being, thinking, and living in the world. Its purpose is to inspire heartfelt connections between ourselves and other people – connections that allow everyone’s needs to be met through compassionate giving. It inspires us and others to give from the heart" (p. vii). Nonviolent Communication "focuses attention on whether people’s needs are being fulfilled, and if they’re not on what can be done to fulfill these needs…It shows us how to express ourselves in ways that increase the likelihood that others will willingly contribute to our well-being. I t also shows us how to receive the messages of others in ways that will increase the likelihood that we will willingly contribute to their well being" (p. x). All families entering Da Vinci receive a copy of Rosenberg’s short book entitledRaising Children Compassionately – Parenting the Nonviolent Communication Way. We are not suggesting there is "right" or "only" way to parent profoundly and gifted children; in fact, that would in itself go against the very principles of NVC. Rather, we have found that NVC really works with the gifted population. We wish to express the importance of "a shift away from evaluating children in moralistic terms such as right/wrong, good/bad, to a language based on needs. We need to be able to tell children whether what they’re doing is in harmony with our needs, or in conflict with our needs, but to do it in a way that doesn’t stimulate guilt or shame on the child’s part" (Rosenberg, 6). Dealing with children in a way that ensures mutual respect and listening to their needs and finding ways for the child to have his or her needs met is a unique perspective. Because we take time to listen, don’t threaten or coerce, don’t withhold objects from children (unless there was an immediate danger). I have been accused in my personal life of "not being strict enough" or even "having no rules" for my profoundly gifted son. Ironically these accusations come from someone whom has had ongoing terrible difficulties interacting with the same child. Rosenberg explains "People often mistake what [he] is taking about as permissiveness or not giving children the direction they need, instead of understanding that it’s a different quality of direction. It’s a direction that comes from two parties trusting each other, rather than one party forcing his or her authority or another (p. 9). Rosenberg goes on to say "Sadly, we will often get much more reinforcement from those around us for behaving in a punitive, judgmental way, than in a way that is respectful to our children". We strive to "learn how to listen better, to hear the feelings and needs that [are] behind [children] not doing what [we] ask" (p. 11). It is difficult for others to see the whole day to day practice of Nonviolent Communication as a whole upon only one observation. It takes great patience, practice and strength to respectfully raise or teach a child in this way - I personally learn more each day, sometimes feel successful and empowered and a wonderful connection with my child as a parent; other days I feel I fail miserably. We use the Nonviolent Communication approach at Da Vinci and focus strongly upon making a connection with each and every child. Parents may wonder why, for example, we are not "hitting the books hard" at the beginning of the school year. That is the key time for connecting or reconnecting after the summer with all of our children. When we build trust, safety and mutual respect then there is truly no limit to what we can accomplish academically. If you have any questions or wish for more information about our school and our program please feel free to contact me.